Football which is arguably the most popular sport in the world has unfortunately never been a go-to sport for India. The nation which until recently displayed an almost unilateral passion for cricket has in the past few years been warming up to football thanks to the homegrown Indian Super League and extensive television coverage of European tournaments. 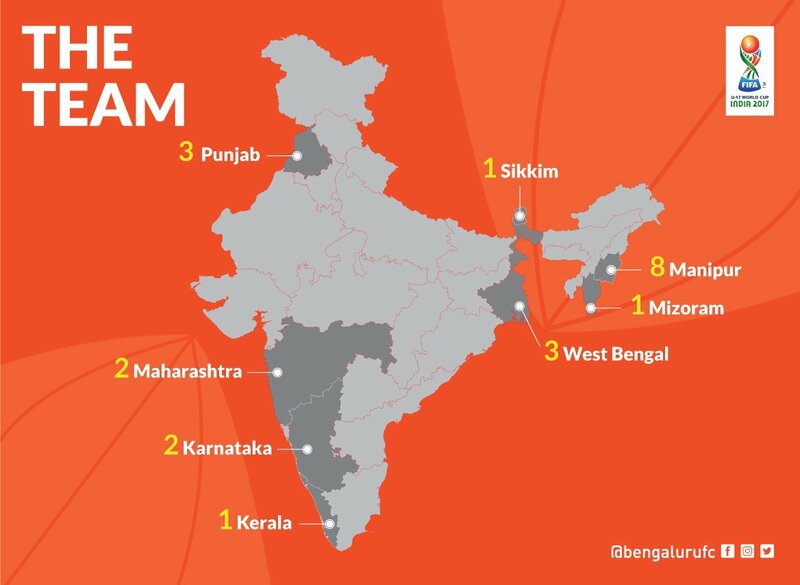 Even though such measures have resulted in increased popularity outside the traditional football crazy bastions of West Bengal, the North East and Kerala, it still felt as if Indian Football needed a break to make it to the big time. This might finally be realised with the FIFA Under-17 World Cup which kicks off from Friday for which India had won the hosting rights in December 2013 after beating the likes of Republic of Ireland, Uzbekistan and Azerbaijan in the draw. The prospect of the nation hosting a FIFA tournament for the first time elated Indian Football fans and at the same time put added responsibility on the football officials to ensure that the tournament infrastructure was as per global standards. In order to ensure that, a budget of about Rs 76 crores was sanctioned by the AIFF and FIFA. On top of it the Union government was expected to spend about Rs 120 crores on infrastructure. After all the spending, optimistic reports came out which claimed that, unlike the last minute scramble which was seen during the 2010 Commonwealth Games, the infrastructure this time round would be ready well in advance. Apart from stray reports of lack of preparedness, things on that end have remained normal. Coming to the main aspect, our Indian Football Team. The 21 strong player squad is captained by Amarjit Singh Kiyam who hails from Manipur and is a product of Chandigarh Football Academy. Other stars of the team include experienced Goalkeeper Dheeraj Singh, striker Aniket Jadhav and most importantly midfielder Komal Thatal who has famously scored goals against footballing giants like Brazil and Uruguay. The demographics of the players are certainly interesting with 14 of the 21 players coming from the traditional football bastions and a whopping 8 coming singularly from Manipur. Even Punjab, which has come into the football map via top Indian goalkeeper Gurpreet Singh Sandhu, has contributed 3 players. Many of the team’s players have come from very humble backgrounds, with defender Sanjiv Stalin’s mother selling clothes on a footpath, striker Aniket Jadhav’s father an auto-rickshaw driver, defender Jitender Singh’s father a watchman and defender Anwar Ali who himself used to graze cattle in his younger days. The financial situation of many of the player’s family was so fragile that, many of the parents were unsure as to whether they would be able to afford a trip to Delhi, to see their sons making the nation proud. They have since then been assured an all expense paid trip the AIFF. Such stories in football are nothing new and world famous footballers like Arsenal forward Alexis Sanchez, Manchester City striker Sergio Aguero, Diego Maradona and Arsenal legend Ian Wright all grappled with poverty in their early days. The performance of the Indian team has been encouraging so far with a memorable victory against Belarus and draws against top teams like Chile. Even though the team has lost a few matches, most have been by a difference of 1 goal. The team is currently coached by Luís Norton de Matos the Portuguese coach who has previously coached the Benefica’s B team and also coached, Étoile Lusitana, a youth football academy founded by famous football manager Jose Mourinho. Some reports have even claimed that it was Mourinho’s reference and subsequent praise of Matos which gave him the job. This post of Coach hasn’t been without its drama. In January erstwhile coach Nikolai Adams was sacked by the AIFF after there were reports of a player mutiny against him. It was reported that the players had complained about him physically assaulting them which led to the AIFF dismissing him. Coach Matos while speaking about the tournament has said that things certainly won’t be easy for India as after all they would be facing far superior teams in USA, Ghana and Colombia during the group stages. The games won’t be easy and India would have to pull off a very solid defensive performance to give itself a chance. What the Indian team has going for itself is the home support which in many cases can make a huge difference. The best example of it might be the hosts South Korea reaching the Semi Final of the 2002 FIFA World Cup. As a result of that, the decision to give group A matches (the default group of the host nation) to Delhi ruffled a few feathers. 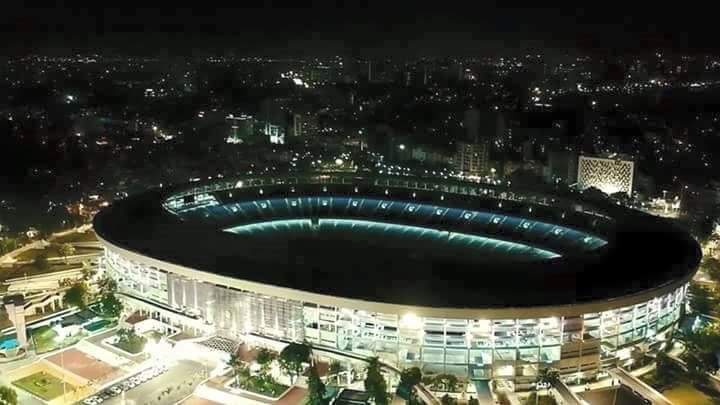 Many felt that Kolkata with its electric atmosphere would have been a much better option than Delhi, which became infamous for poor spectator attendances during the Commonwealth Games. Also there have been reports that the tickets for the India vs USA game on 6th October haven’t sold out yet. One hopes that the crowd which does turn up, ends up creating a proper atmosphere to back the lads. Also it is imperative that TV spectators too view to matches in huge numbers. Such high TV rating would enabling better sponsorship deals for the team, players and a higher flow of money into the game to contribute to its overall development. For the individual players such a big stage would be a golden opportunity to showcase their talents on a global level and possibly secure a move to an European Club. For the football fans too it would be a good chance to observe the team and speculate as to how peak Indian football would look like after a decade or so, when most of these players would be in their prime footballing years. Win, lose or draw it would be a joyous occasion for the whole nation as it comes under the spotlight of global football and these 23 days from 6th to 28th October should be a celebration of the game and those who play it. The tournament starts on 6th October with India playing against USA, Columbia and Ghana on 6th, 9th and 12th respectively from 8 PM. You can also catch India’s matches on DD Sports.